I have recently completed a few more small upholstery projects out of my apartment, and while I love the work, it wreaks havoc on my tiny space. For larger projects I am lucky enough to work in the Re:style Studio space, but I have always daydreamed about my own workspace (I showed some cool ones here). However, since I don’t have a car unless a space is right next door, it’s a pain to travel back and forth. But recently I discovered that it’s possible to have an awesome studio or office right in your own backyard by adding a shed workspace. 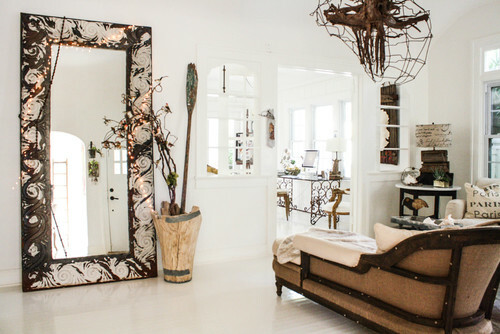 The first company I stumbled upon whose products totally caught my eye was StudioShed. They make very sleek modern prefab do-it-yourself sheds that can be used for various things, like home offices, arts or craft studios, music rehearsal space, or cabin bunkies. You can choose from various sizes, layout and features and they come with instructional videos so you can help put them together yourself. You can have installation included in your price and add things like electrical, fancy flooring and more. The also have a greenhouses and dog house lines. Now, I share this information with few caveats. 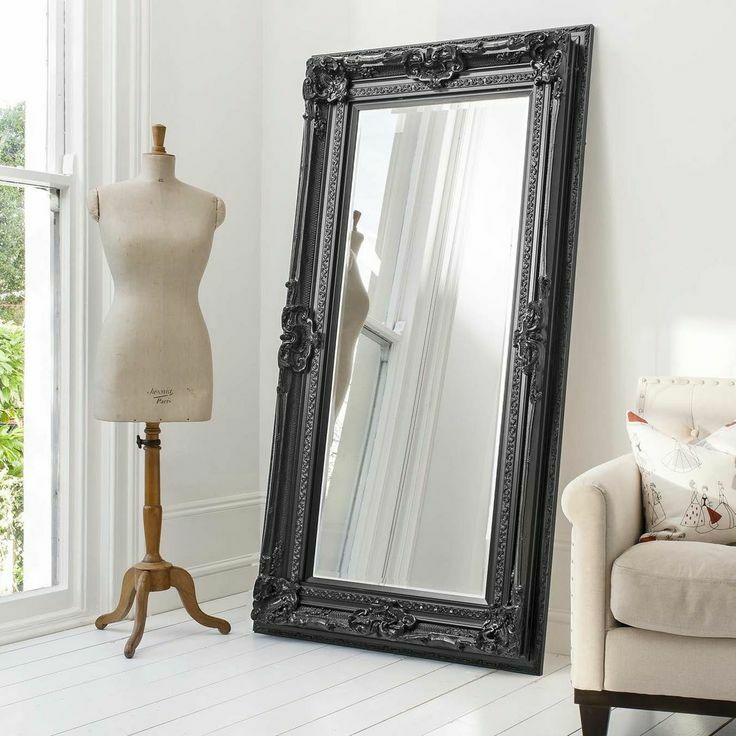 Right now they only ship to the US, and therefore installation services are only offered there. However, with the US shipping address services (like box hop, etc) they still could be an option if you are going for the DIY packages. Also, they are not cheap, even the DIY version. If you want a super sleek workspace in your backyard, you have to spend some money. But never fear, I did find a somewhat similar company in Ontario called Sheds in a Day that offer more basic rustic wooden sheds, but in similar sizes. You can also pick and choose features and they are significantly cheaper. I expect there are similar companies in other parts of the country too. I rent my apartment so neither of these are likely an option for me right now, but it’s nice to know that you can create a fabulous, functional workspace right in your own backyard. *This is not a sponsor post. I have one wall that I could MAYBE see one working on but it couldn’t be too big. Maybe. But a girl can dream for now, right? Normally I don’t do posts about my weekend, but I just had to post about a dinner party I went to on Saturday night. My friends Rena and Stefan hold an annual wedding party reunion dinner as thanks to those who stood up with them when they got married 3 years ago. Let me start off by saying these two are the hosts with the most. Typically they send out a list of menu ideas in advance for voting. The menu that won this year was “Tacos Around the World”. They took six places they have traveled to and made tacos inspired by those locations. Can I just say that Rena is a rock star? First , here are a few shots of the prep work. I took these pictures while I sipped a glass of wine and observed in awe the many moving parts of this meal. And then came the tacos, there were a total of six but I only got pictures of five for some reason. (OK, the reason was tequila. This group LOVES to eat but they also LOVE to drink.) Back to the food. WARNING: the following content may make you go into a jealous rage, proceed with caution. They were sooo delicious. Hawaii, Peru and Korea were my faves for sure but they were all amazing. And then after all that we got not one but TWO desserts…..
Salted caramel pots de crème with roasted hazelnut shortbread sand and devil’s food cake with salted caramel and fudge sauce. OMG. They were both to die for. So much food, so much fun (too much tequila), and a great night. Thanks Rena and Stef for hosting such a fabulous dinner. This year I’m expanding my wardrobe out into the world of navy blue. I’m trying hard to switch my idea that black is the only acceptable neutral. 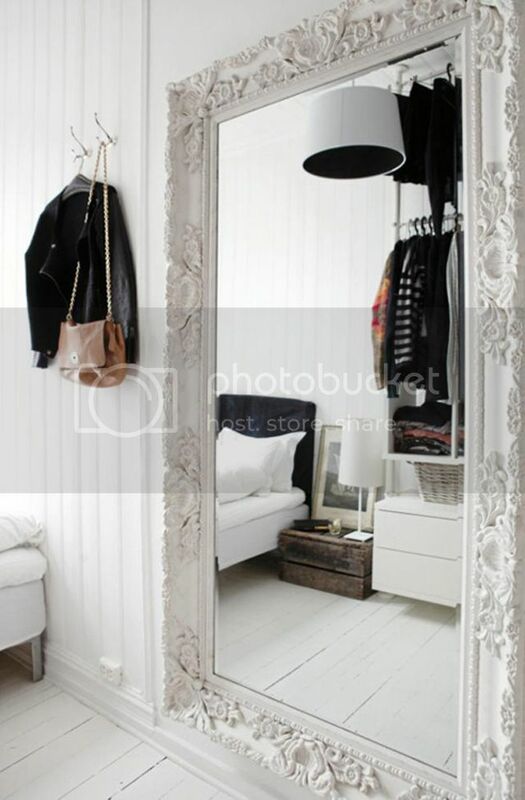 And often when I’m looking for wardrobe ideas I look to design/decor for inspiration (and vice versa). 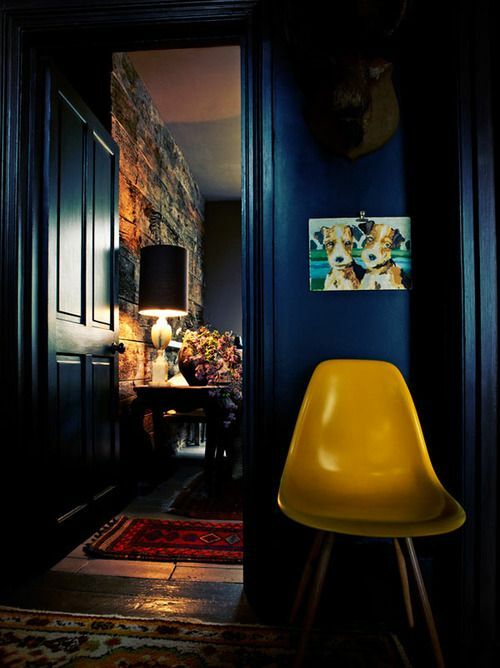 Which explains my love of navy blue interiors right now. 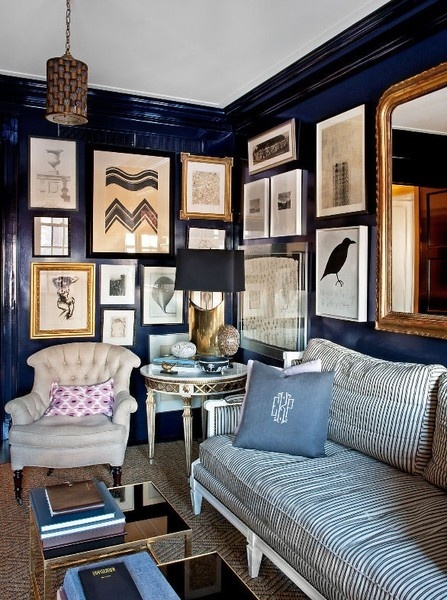 I would have to say my favourite way to use navy blue is on the walls. 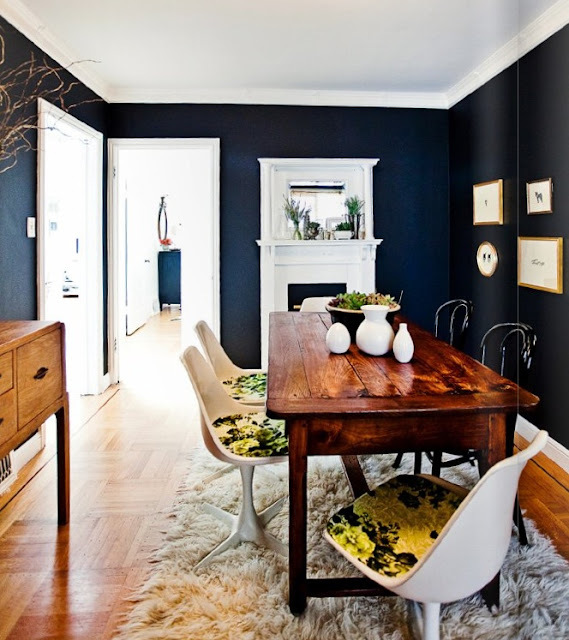 Navy is usually thought of as a traditional colour, but slap a little navy paint on your walls you have instant drama. If you don’t believe me, check our these lovely rooms. 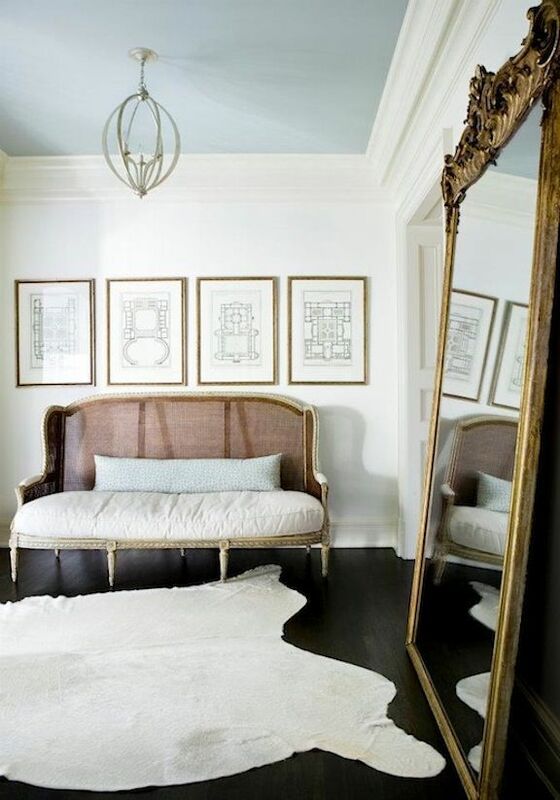 Navy looks great against white decor or paired with other dark, moody colours. A winner in my books! 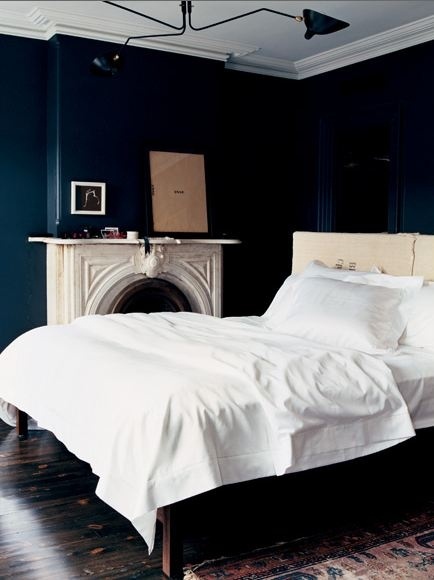 What do you think of navy blue on the walls? Well, I was planning on announcing a winner to my giveaway today, but no one officially entered. That is a first! I suspect this may have something to do with the fact that many of my readers attended Blogpodium and one of the items in the gift bag was Fall Home Show tickets. Not to worry, I won’t let them go to waste! Here is a little synopsis of my weekend…. 1. I did a tiny bit of shopping. I dropped into a Target on my way to do some other errands and found some fun herringbone pieces for fall. Great prices. Of course, I didn’t find any casual clothes to buy. My curse of not being able to pick out casual clothing continues. 2. I almost finished up a DIY fall decorating project that I’ve been working on that will be on the blog soon! 3. I bought some fall flowers. I love fresh flowers in my place….it just makes me happy. 4. However most of my weekend was spent sewing and installing an upholstery project for a client. I did my first “on location” upholstery job. 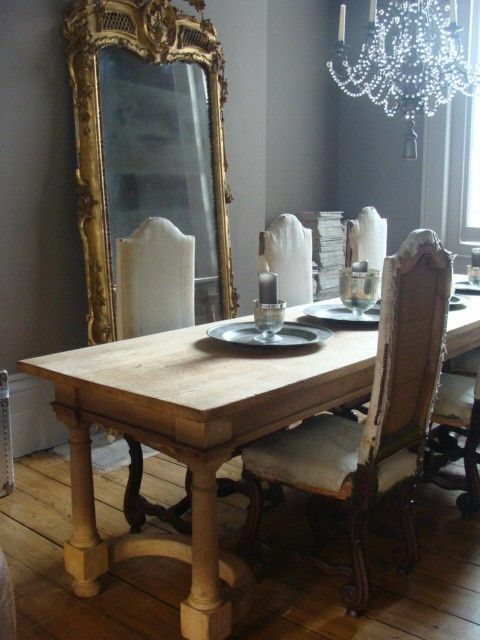 It was a breakfast area bench that was constructed in place. And because of how it was constructed and attached I couldn’t upholster it in pieces, so I had to do it in place. Definitely a learning experience but it turned out well. I’ll have some pictures once the cushions are all complete and in place. And that was my weekend! Mostly work but sometimes that is just the way it is. Also, if you haven’t voted in the Upcycle Challenge: Unhinged contest, I so would appreciate your vote. So far I’m not doing great at defending my title from last year! To vote go here. And you can vote every 24 hours, in case you feel like voting more than once. I am trying to be more creative with my hair these days. This is partly out of desire to mix things up, but also out of necessity. My hair gets greasy fast so my bangs get pretty gross unless wash every day. So, I’ve been experimenting. I’ve tried out some braided looks recently, and now I’m thinking about venturing into hairbands. 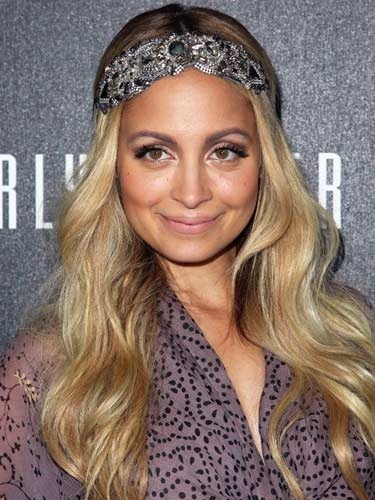 I don’t know if hairbands are “in” right now (I usually don’t pay much attention to hair trends) but over the years celebs have had some pretty lovely ones…. And here are few that I’m enjoying. clockwise from top right: Ban.do Gold Rush Headband, Hoop Claw Handmade Phoenix Wing Hairband, Jennifer Oullette Perforated Dotted Leather Turban, ATHENA Grecian Leaf Headpiece in Raw Brass, lace headband by fashionmeme, Plumo fabric headband (sold out). Pretty fun, huh? The lace and beaded ones are my particular favorites! Do any of you wear hairbands regularly?